I created this recipe for my friend Lenny. I wanted it to be oil free (for his heart-healthy post-heart attack plant-based lifestyle), hence the massive quantity of banana. As I mixed the batter it became obvious that it was more of a cake/brownie than a cookie, so I poured it into the brownie pan. Not one is left from this batch and they are now high up on the request list! Preheat oven to 350. Mash the bananas and chop the walnuts. Sift the flour. Add the sugar, powder, salt, baking soda and powder. Mix together with a fork. Add the bananas, oat milk, chocolate chunks and walnuts. Mix until batter comes together. Turn out into a brownie pan (I use my 9×9) and bake for 30 to 35 minutes. Enjoy! 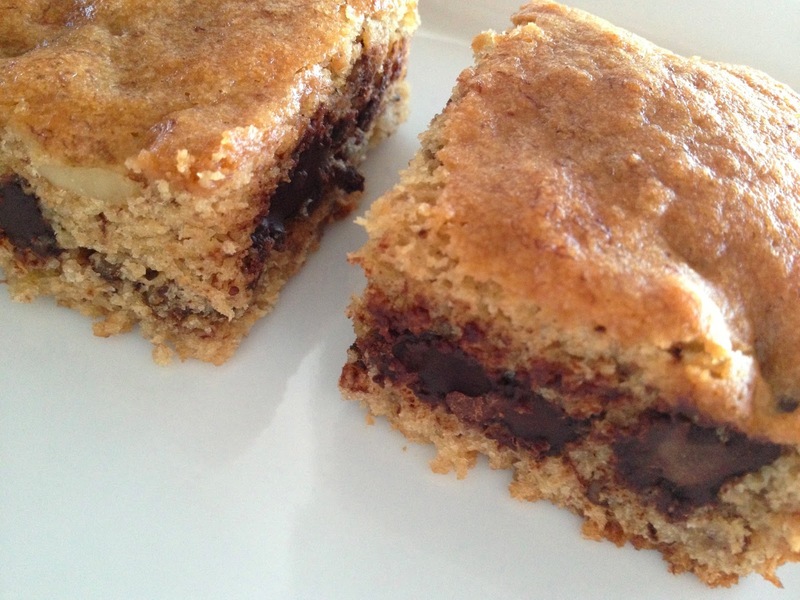 The only problem with this recipe….is that for sure I am going to end up eating the whole batch! that is what happened to us today!